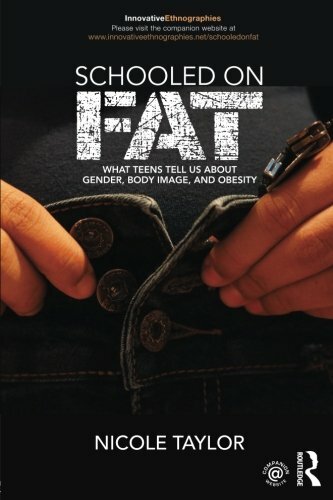 “Schooled on Fat: What Teens Tell Us About Gender, Body Image, and Obesity,” by Nicole Taylor is an in-depth look at body image and obesity in adolescent girls and boys, and how current attitudes and behaviors around these issues affect their daily lives. In an age where most Americans are overweight or obese, it’s become an almost sad acceptance with teens and adults alike. Are teens and young adults more accepting of being overweight themselves? And of their friends? What part does social media play, and how does it influence our teen’s relationships with food and physical activity? Wow. Reading this book was such an intense experience. While body-shaming, low self-esteem, and all the insecurities that come with the denial of self-love or self-appreciation is nothing new, we live in a different world, dominated by social media with stories of how we “should” look, feel, think, act, etc., in our faces 24/7. The straightforward reporting, and dialogue with the study participants, really brought up some difficult emotions while I was reading. On one hand, I felt that I was comprehending the information through the eyes of a parent, achingly wanting to help these students realize their own worth, and the unrealistic standards they set for themselves and each other. On the other hand, the candid discussions brought back memories of a time long ago, where only the names were changed. Suddenly I was reliving my own experiences in high school and reflecting on how those experiences shaped a lifetime of dieting, exercise, and social issues for me personally. The writing is brilliant, it’s obvious much time, and effort was spent on the study. Well-written and thoroughly researched, “Schooled on Fat” by Nicole Taylor should be required reading for every high school teacher AND student. It contains a wealth of quality information crucial to the understanding and development of our children.